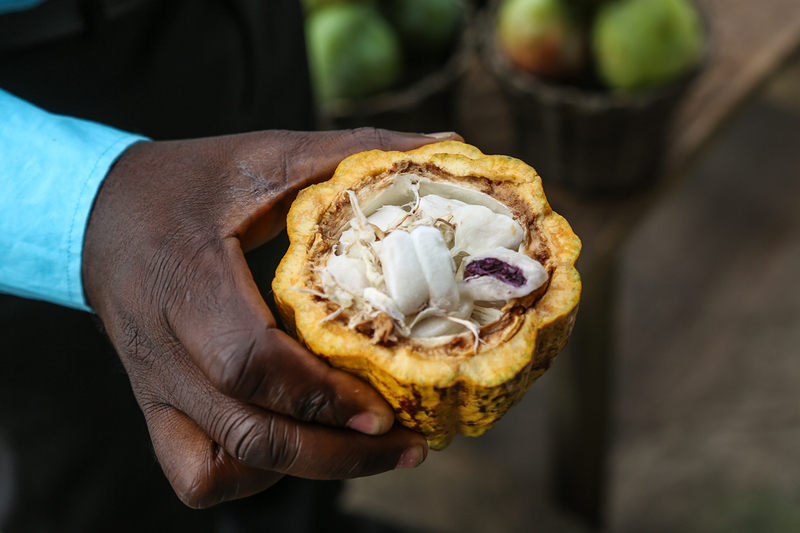 Political stability, good governance and increasing export revenues have turned Ghana into one of the largest and fastest-growing economies in sub-Saharan Africa, and the cocoa industry has played a key role in this process. Now the second largest exporter of cocoa in the world, Ghana employs over 800,000 smallholders in the cocoa industry, which contributed as much as 14 per cent of GDP in 2011. With the sector playing such a crucial part in the economy, the need for a sustainable cocoa industry that makes wise use of its resources and maintains profits is clear. Resource-efficient and cleaner production methods offer a way to ensure the industry remains competitive and resilient, and Ghanaian companies are already making the transition and reaping the rewards. One such company is Niche Cocoa Industry Ltd. from the Tema Free Zone enclave. In 2012, Niche signed up for the Resource Efficient and Cleaner Production (RECP) Programme, coordinated by the Ghana National Cleaner Production Centre, the Ghana Environmental Protection Agency and UNEP. The Programme trained Niche’s staff on low-waste production technologies, enhancing the efficient use of water, energy and raw materials, and optimizing existing technologies to improve production efficiency levels. Since joining RECP, Niche has managed to reduce its waste by 60 per cent. Improved the company’s efficiency levels and reduced waste along the production line have reduced the cost of our operations and thereby increased our profitability and competitiveness, both nationally and internationally. And undertaking a Free Fatty Acids (FFA) analysis to save on butter in the production process. Niche has reduced the company’s contribution to water and air pollution in the area. According to Mr. Paul Ayeh, General Manager of Niche, puts much of the company’s success down to judicious use of its resources. Niche is a local processing company that processes cocoa into cocoa liquor and also has organic processing certificate to process organic cocoa for the international market. Niche Cocoa is a company wholly owned by Ghanaians and situated in the Tema Free Zones enclave.